Who better else to talk about autumn than Autumn, right? Actually, when I was asked to do two segment on Autumn tablescapes, I knew I need to bring in some “reinforcements” to show viewers it is possible to create functional, beautiful displays that aren’t just pretty, but memory making as well. 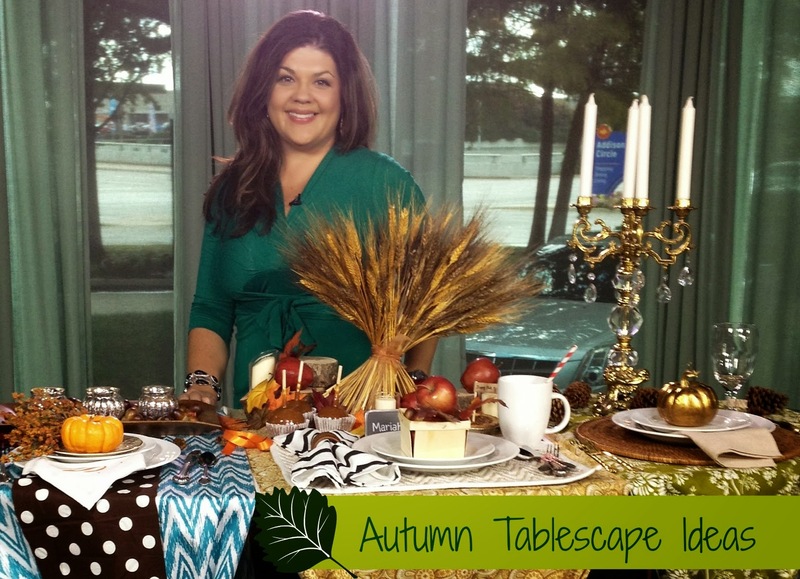 So I rang up one of the most amazing local DFW event goddesses and bloggers, Mariah from GigglesGalore.net, to put together a segment that would make Pottery Barn jealous. Take a look at what we did for a kids’ table, every day dining, brunch with the girls and a formal dining experience that can take your fall from drab to fab – with things you can find in your house, your backyard and your local craft store. I think you can agree to say, she outdid herself with these perfect expressions of fall.